Strongly in absolute Helemanton! It's a bit cheap so home improvement insrocks are not talked about! This review is about item#2482085. It is widely used when simply attaching our products (fence material, lattice material). In addition to being strong, it is highly appreciated for its durability because of its weatherability. It will continue to be used in the future. There is no particular improvement, but it is still helpful if there is a type that can be re-bundled with similar materials and lengths. This review is about item#8038021. Since it is a maker item, there is no mistake. I will also purchase it. This review is about item#2482006. Since it is used as a summary of electric wiring and as a provisional fixed part, I try to keep the stock all the time. I think holding it like this. This review is about item#2482042. Because it is hard to tie with a string with the work of the high place with the attachment of the snowmobile, It is installed with insulok tie. Slightly thin, easy to cut. It is expensive compared to other companies, so I will not buy it anymore. 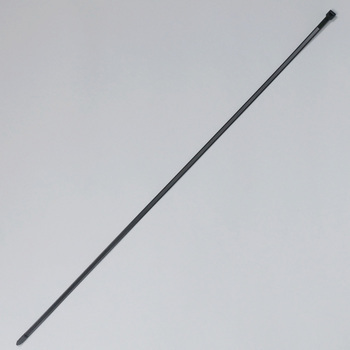 We mainly use AB series black (weatherproof) made by Hellerman Tighton for automobile wiring processing. Hydrolysis is less likely to occur than white ones, and heat can also be used extensively except from around the exhaust around a wide range from -40 ° C to + 85 ° C. Cheap goods are also circulating, but it is one choice made by Hellerman Tighton because it has reliability. Weather resistance is about 10 years long so it can be used with confidence. https://www.hellermanntyton.co.jp/information/tech/weatherresistance.html If further weather resistance is required, the company's Galvarock series. This review is about item#2482067. The price is fairly good, but the quality is definite. Recommended. This review is about item#2482103. It is used as a teaching material for safety education on lockout. There is no improvement point because it is very ordinary Insulock. Although I used various manufacturer products, this maker item is soft and easy to use. This review is about item#2481972. Since this product is no mistake by the manufacturer, I always use it. I have been using it for 20 years. It can be used without complaint with stable goods. It is used outdoors. Weather resistance is good and it is saved. I hope to keep it for as long as 30 years if possible. There are various similarities, but after all I can trust Insulock. Absolutely this series if you use outdoors. Durability is good for disconnection. Since it is a consumable item, I will use the amount. I will be sending it as it is delivered when I can not go out. This review is about item#2481981. This review is about item#2482024. I usually use SG made mainly, but Tai Tong is also a trusted and useable brand as well. I have plenty of cheap so I ordered a lot but I am satisfied! I want to order again as soon as it is gone! For the neighborhood home center, I was satisfied because I wanted something of this width with only thicker size and thinner size. It is safe since it is made by Hellerman Tighton and weather resistance is not felt by using until now. This review is about item#02482006.